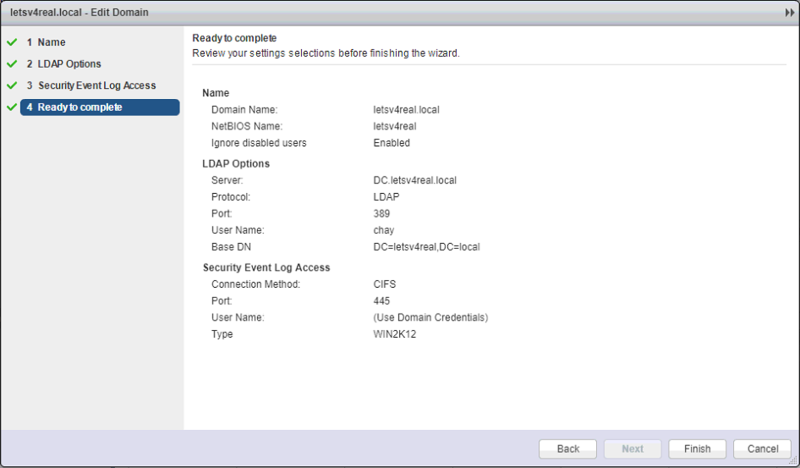 Enter in the domain name and NetBIOS name. Click Next. 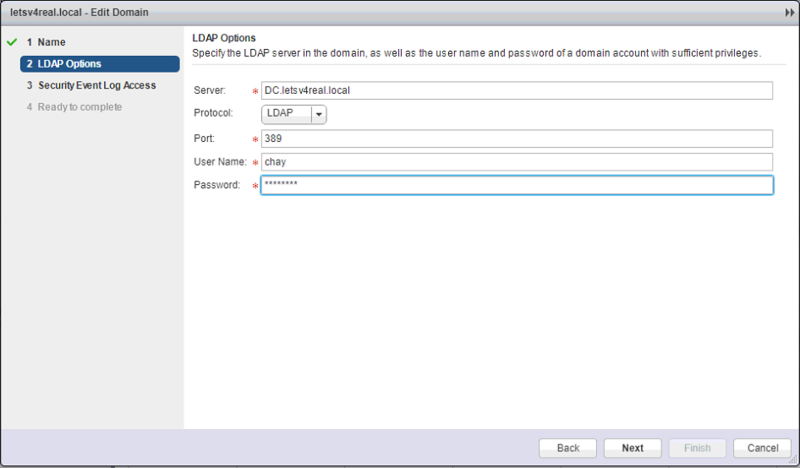 Enter in the LDAP server information. Click Next. 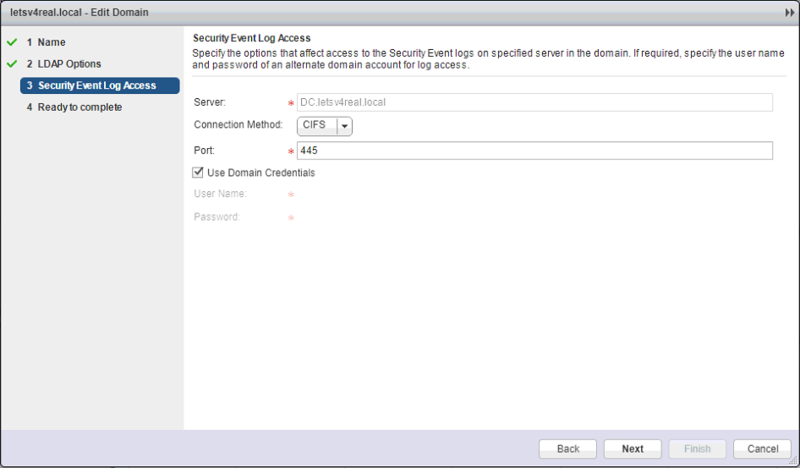 Select either CIFS or WMI for the connection to access security event logs. Click Next. 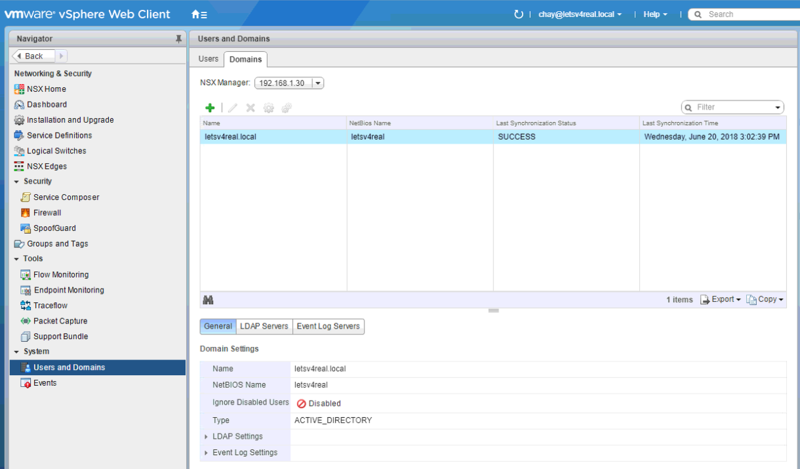 Login to the NSX Manager. 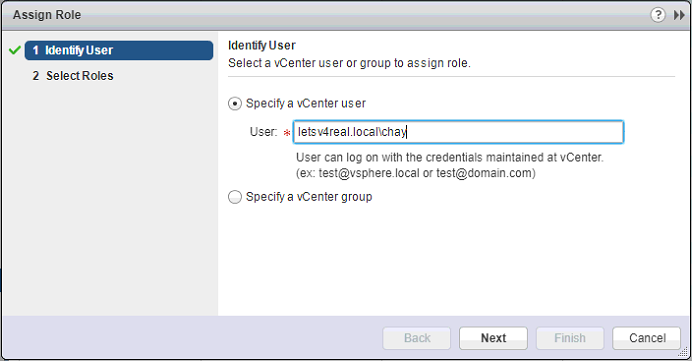 Click Manage vCenter Registration. Under the Lookup Service URL click Edit and enter in the info for either the vCenter or an external PSC, whichever is running your Lookup Service. In my case, I have an external PSC that is running it. 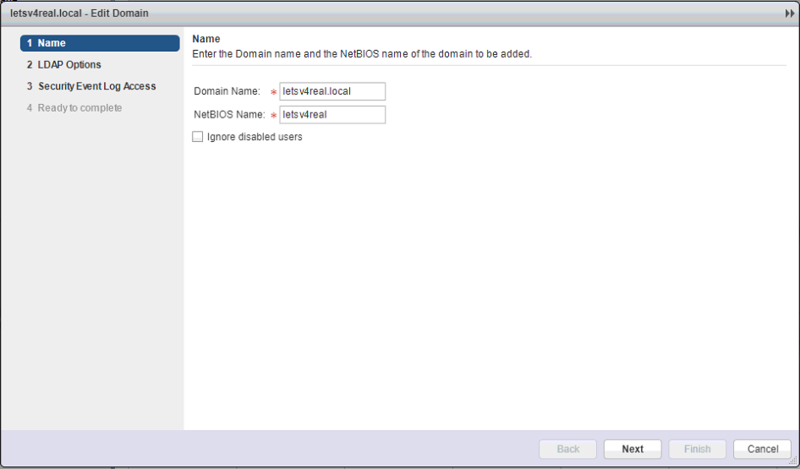 To assign roles, navigate to Networking & Security > System > Users and Domains. Under the Users tab, click the green “+”. 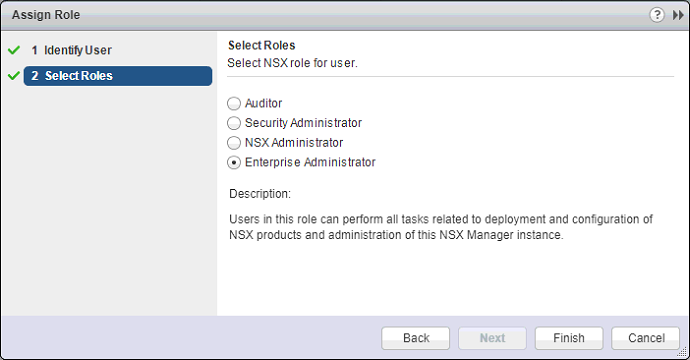 Specify the user or group that you want to assign a role to. Click Next. To delete a user, select the user and click the red X. To disable a user, select the user and click the disable icon. To enable a user, you would click the green check mark.